Santa's visit begins when he arrives, and ends when he leaves the event. 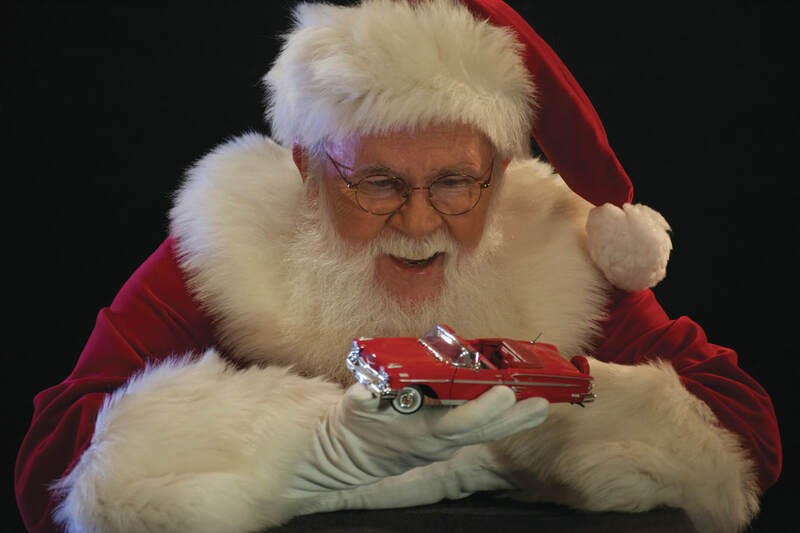 Santa Charlie has a sparkling background check and Liability Insurance designed for Santa visits. Copies of both are available upon request. Santa Charlie is a member 0f FORBES - International Brotherhood of Real Bearded Santas. A Family Visit of one hour is normally plenty of time for a family of up to 4 children and will keep your children truly excited about upcoming events. During the visit Santa will talk to each child about their Christmas wishes, their thoughts about how they have been doing this year and where they think they are listed in The Naughty or Nice List, and have their picture taken with Santa as well as receive their gift.